Democracy, elections and all that is good about a freer and fairer election are on the agenda in Apia this week. Down at Tanoa Tusitala Hotel, relevant stakeholders have been taking part in the “Democracy and Development in Samoa: the Role of Elections” National Conference (see story). Opened by Prime Minister Tuilaepa Sa’ilele Malielegaoi, the conference participants have been delving into the successes, challenges and changes of Samoa’s electoral system. 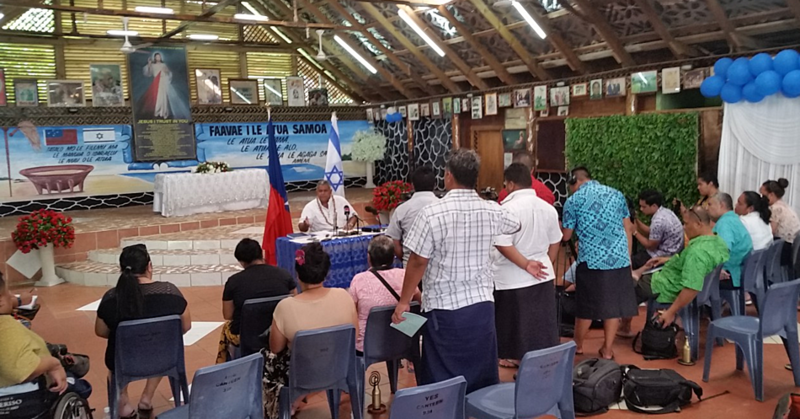 According to the Electoral Commissioner, Faimalomatumua Mathew Lemisio, the conference is an opportunity to discuss the findings of the Review and Electoral Commission. He said after the last General Election, the Electoral Office identified key areas such as improving participation of women, youth and people with disabilities among others and will be addressing these issues as a lead up to the 2021 elections. So throughout the week, speakers from Tonga, Fiji, academia, and election officials have been taking turns to address the different issues. Without a doubt, there would have been a lot of interesting and thought-provoking perspectives shared. All of them would be useful in terms of moving forward. Which is great. After all, we all want our elections to be fair and free. Most importantly, we want them to be corruption-free. 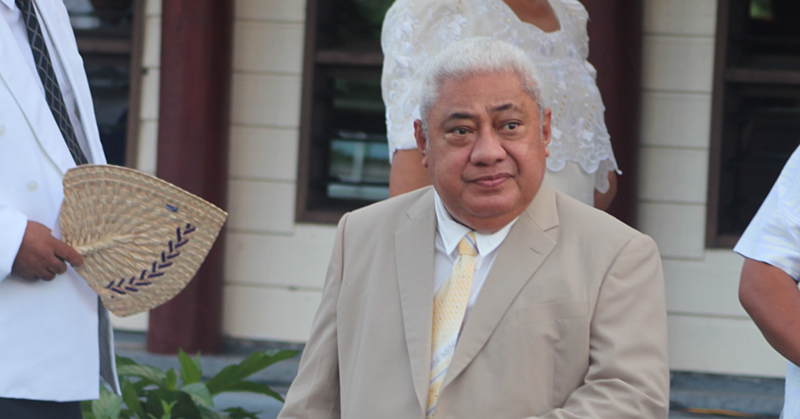 At the opening of the conference earlier this week, Prime Minister Tuilaepa pointed out that achieving such an objective is always challenging. Now this is an interesting little statement. It’s worth reflecting upon. It immediately casts our minds back to 2016 especially when all those election petitions alleging bribery, treating and corruption magically disappeared. Well who cares now? We are in 2017, aren’t we? Still, it’s a disturbing thought especially for a nation, which claims to have held free and fair elections. The simple truth is this; the fact that a number of petitions alleging corrupt practices during the General Election were withdrawn – some under dramatic circumstances – obviously point to a dirty election. It means that in some of those constituencies, the election was anything but free and fair. And yet we have carried on in beautiful Samoa like it’s normal. This is not normal. Ladies and gentlemen, when a candidate bribes their way into a position of power; that is corruption. When a candidate makes a deal with another to throw an election petition by offering cash, it becomes even worse. The worry is that the ease with which these cases were dealt with and made to disappear could give out the wrong impression that such bad behavior is encouraged. Indeed, the legitimising and legalising of such alleged corrupt practices under the guise of culture and for the sake of good relations is not something that should be taken lightly. And since the issue of free and fair election is on the agenda this week, we must not ignore this issue. Besides, the government is already prosecuting and fining members of the public who have not registered. Fair enough. The Electoral Office has a job to do and good on them for doing it. But what about politicians who openly break the law and get away with it? Does it ever dawn on anyone that these politicians who bought their way to Parliament end up making the laws? How can lawbreakers be allowed to become lawmakers? And you wonder why some members of the public feel that it is okay to blatantly break the law? Let us remind you today that you and I, as guardians of our culture, values and morals, we have a responsibility to leave a legacy for the future of this country to be proud of. We have to set examples we want them to emulate. Looking at the past, are these examples to be proud of? Is it okay to bribe and buy voters to get into Parliament then? Is that the new standard? Is this the legacy we want to leave behind for the future generations of this country? We’ve said this before and we will say it again, if that is the case, why do we need a Court system? Why do we need laws? Who needs a Parliament then to create laws when some of those lawmakers should not be there? Why can’t we just forgive and forget all lawbreakers then? Why don’t we just abolish the Justice system if all that we need to do to solve the issues is to mediate, have a simple handshake and quote scriptures from the Bible? Laws are designed to be obeyed and no one – including politicians – should be above it. Or else we should all just live in total lawlessness and anarchy. Something to think about on National Voters day today! Have a productive Thursday Samoa, God bless!